A mother planning to deliver naturally following a C-section 14 months previously lost her baby two days after birth. Denise Farrell said she was unaware of the danger of uterine rupture "until it happened", an inquest into her baby's death heard. Baby Sadhbh was born by emergency vacuum delivery on September 26, 2014 at Portiuncula Hospital, Ballinasloe, Co Galway. She was limp on arrival and had suffered a significant brain injury, the court heard. Mrs Farrell described intense pain in the lead-up to delivery. She had a C-section with her first child, Donagh, in July 2013. At one point, the pain was so severe she vomited and told her husband, Cathal, to fetch the midwife. "This was my first actual physical labour. I didn't know what to expect," she said. Midwife Jennifer Callanan monitored Mrs Farrell in the hours leading up to the birth. She was aware of the patient's history and said the planned delivery was a "trial of labour", meaning the mother would be monitored for uterine rupture. "I had no concerns, there was nothing to alarm me," she said. The onset of labour was faster than any the midwife had experienced, Dublin Coroner's Court heard. Baby Sadhbh was born, but she was limp and not breathing. She was later transferred to the Coombe Hospital in Dublin, where she died two days later. 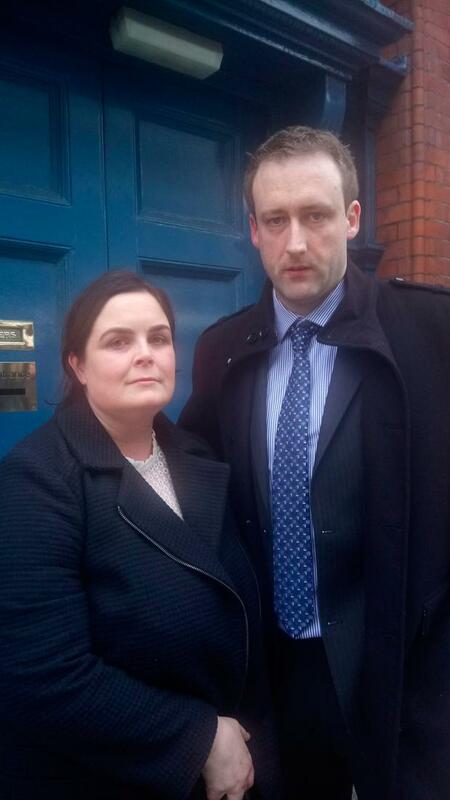 The inquest heard that the placenta had not been delivered and Mrs Farrell was taken to theatre to have it removed. "A doctor pressed on my abdomen. I felt the most horrendous pain," she said. The inquest heard from consultant paediatrician Dr Pauric Curran, who saw baby Sadhbh and found her to be in a coma due to brain impairment. Later, she developed multiple organ dysfunction and died. The inquest was adjourned to hear evidence from witnesses.